Business process automation, customization, configuration and development on the bpm’online platform services. Addima simplifies the adoption of cloud technology from start-up scale to mid-size organizations in the Scandinavian market. 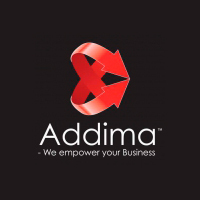 Working with the bpm'online application suite, Addima enables clients to simplify and streamline the adoption of business solutions, through best practice deployments. The Company offers a choice of implementation methods, training and support packages to suit most budgets. Addima transfers knowledge and best practice of how to use the applications to build real insight and value from customer information and how to collaborate more effectively to create winning customer strategies and become more customer centric.